Make every exercise HUR SmartTouch compatible by completing your HUR SmartTouch setup with the HUR FreeTrainer Exercise Panel. The HUR FreeTrainer is designed for a holistic training experience with a comprehensive training programme and smart follow-up in mind. It allows you to quickly add equipment-free exercises to the HUR SmartTouch profile, e.g. 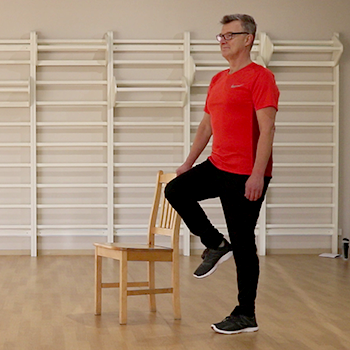 stretching and active static workouts, into your exercise palette and training programmes, in addition to regular exercises performed with HUR machines. The HUR FreeTrainer can be placed on a wall next to a free training area in the gym or clinic. It makes the workout convenient and paper-free with easy-to-follow instructions and automated synchronization with the HUR SmartTouch system. One customer profile with all the exercises and collected data maximizes the training experience and possibilities for every individual user. The HUR FreeTrainer contains a large library of exercises featuring real models with accurate movements, enabling a pure training experience. The HUR FreeTrainer is another step towards a complete HUR training experience in the spirit of our continuing mission For Lifelong Strength.